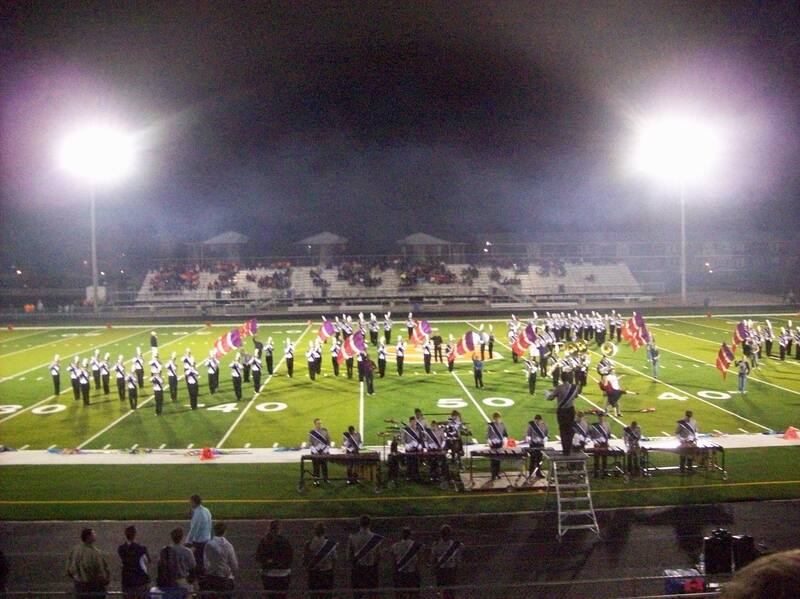 The Cougar Marching Band includes all students involved in the Plainfield South High School band program. The Marching Band performs at all home football games and also performs a competitive show at various competition venues. The band has consistently improved each year and entered their first competitive field shows in 2005. Extra-curricular rehearsals for the Cougar Marching Band occur every Monday night of the marching season from 6-9pm. Rehearsals also occur on Thursdays from 3:45-4:45 (right after school) on weeks in which there is a Friday or weekend performance.